Sardar Patel was bestowed with the country's highest civilian award posthumously in 1991, 41 years after his death in 1950. 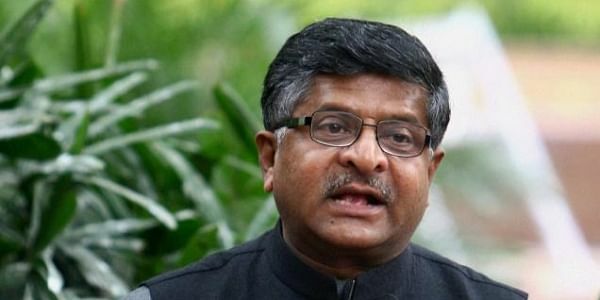 PATNA: Union Minister for Law and Justice Ravi Shankar Prasad today wondered why it took 41 years to give the Bharat Ratna to Sardar Vallabhbhai Patel, who would have made a difference to the "shape and direction" of India had he been the first prime minister. The minister was addressing a function organised by Patel Sewa Sangh, Bihar, to celebrate the 142nd birth anniversary of the Iron Man of India. "Every eminent personality got this award. But in Patel's case, it took 41 years to honour him with the Bharat Ratna award. It was the Narsimha Rao's government who honoured him with the award," Prasad said. The nation paid tributes to Patel on his birth anniversary today and 'Rashtriya Ekta Diwas' (National Unity Day) was observed. Prasad said that the country's first president Dr Rajendra Prasad had said in 1959 that what India stands today, it was because of Patel. "Had Patel been the prime minister for three years (1947 to 1950), the shape and direction of the country would have been different," he said, adding, it was his personal opinion. Prasad said shortly after Independence, there were 555 princely states and Patel successfully handled 554 of them, while Jawaharlal Nehru handled just one (Jammu and Kashmir), "which he messed up by taking to the UN, against Patel's opinion on the issue". Patel did not have his own house, while Rajendra Prasad lived in a two-room accommodation after demitting the office, the law minister said, and asked "Where are grandsons and great grandsons of Patel and Prasad (in politics) today?" "After 70 years of Independence, today we need to debate and discuss the issue as to why a person from only one family would become the CM, party president, the PM...How long this will continue?" he asked.